A recent RBI provisional figure report says the total outstanding money deposited in the country's banks by March 30 stood at Rs 114.75-lakh crore compared to Rs 107.58 lakh crore a year earlier, which is lowest in the past 54 years. The sudden and unexpected demand for cash has put the government and the Reserve Bank of India (RBI) on the back foot. Though efforts are on to pump in adequate money into the circulation, it's unclear when the situation will normalise. Experts haven't been able to specify any particular reason for the shortage of currency except blaming it on festivals, hoarding of high denomination notes, and the splurge of cash ahead of election in Karnataka. One thing that does not seem to bode well with these arguments is that festivals come every year; the election is in only one state. Before this, we had elections in Tripura, Nagaland, and Meghalaya, and Gujarat and Himachal, but this sort of situation was not experienced in any of the states. Amid all this brouhaha, an interesting fact has emerged from a recent RBI provisional figure report. The analysis of bank deposit says the total outstanding money deposited in the country's banks by March 30 stood at Rs 114.75 lakh crore compared to Rs 107.58 lakh crore a year earlier. Though the outstanding deposit saw an incremental growth of Rs 7, 17, 334 crore, it registered the slowest growth of 6.7 per cent in aggregate deposits in a fiscal year in the past 54 years. The report published in Business Today quoted experts attributing the low deposit growth in FY17-18 to sharp rise in bank deposits in FY16-17 vis-a-vis FY15-16 in wake of demonetisation, and hence the base for FY17-18 became much higher. They also cite low interest rates offered by banks led to a shift from FDs to equity mutual funds, which witnessed record inflows in FY17-18. The All India Bank Officers' Association blamed the RBI's digital push for cash crunch, citing that it failed to assess demand and supply. Experts said the country had come out of demonetisation's effect as cash flow at most ATMs was normal even at the end of the financial year in March. The cash in circulation is still at the pre-demonetisation level but digital transactions have increased manifold. However, they suggest it'll take years before India becomes fully digital economy. As of now, Maharashtra, Madhya Pradesh Telangana, Karnataka and Gujarat are the worst affected states, while Kerala, Goa and Tamil Nadu have not reported such problems. India's two major regions, the Delhi-NCR and Mumbai, can also severely get affected in the coming days if immediate steps are not taken to increase the cash deposits in ATMs. 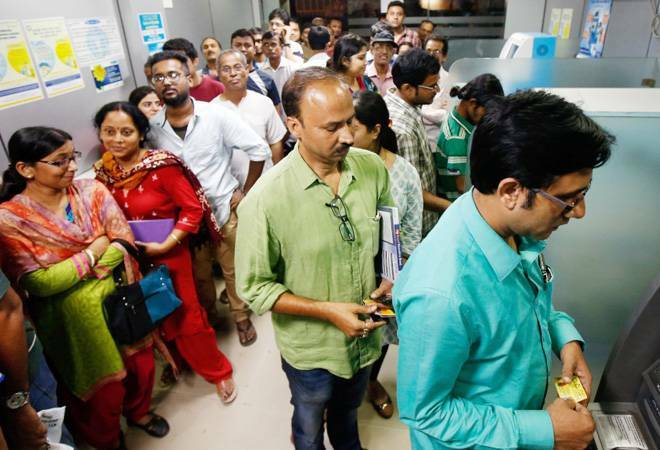 Sources in one of India's largest private banks have told Business Today that in the past one week, the Delhi-NCR region received around 20 per cent of the cash supply it used to get on a daily basis; Mumbai received the cash supply of a week what they need on a daily basis.